Even after living here for just over a year there are still loads of touristy things I haven't done yet and so last weekend we decided to take a walk over the Brooklyn Bridge. 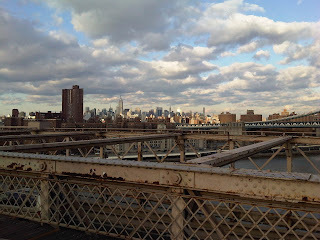 We took the subway down to Chambers Street and followed the bicycle route signs to the bridge. There is a pedestrian walkway across the bridge so you don't have to worry about the cars. However, there is a bike path running parallel to the walkway, so make sure you stick to the pedestrian side in order to avoid the cyclists. 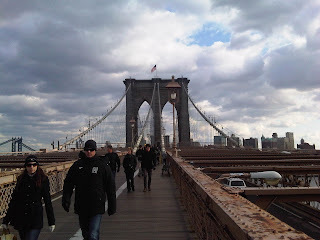 The Brooklyn Bridge is just over 1.1 miles long and I enjoyed a close up look at the architecture of the bridge. 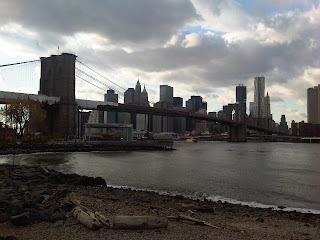 When we got to the other side we headed for DUMBO (Down Under the Manhattan Bridge Overpass) and the Brooklyn Bridge Park. From here you can take in great views of the bridge and the Manhattan skyline. 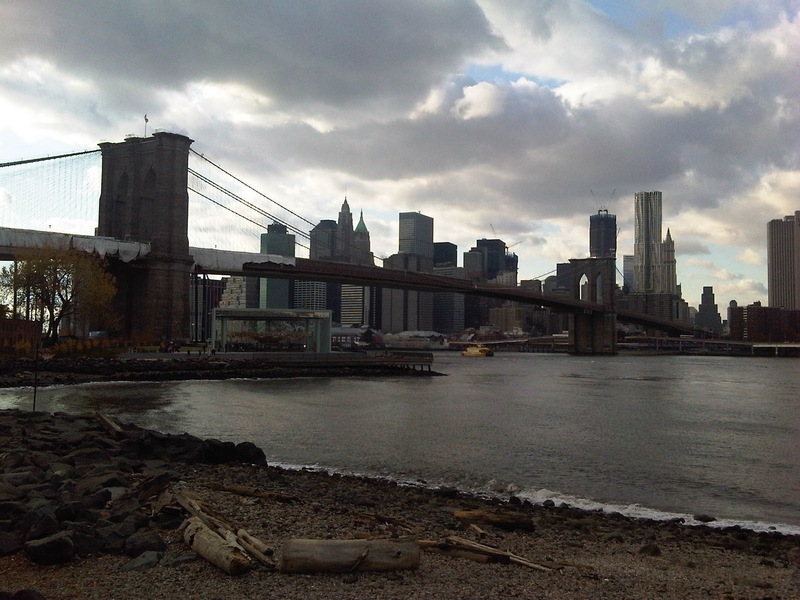 After exploring DUMBO, which has some interesting shops and restaurants, we headed back over the bridge. The views going back to Manhattan are stunning and we stopped a few times to look at the skyline and Statue of Liberty. Although the walkway was quite crowded it was still a great experience and well worth the trip. I imagine that the views are spectacular at sunrise and sunset, so it might be worth getting up early or making the trip in the late afternoon. I would love to walk along the Brooklyn Bridge someday.